Burgers and Bands 2018 was a huge success, we were able to raise $45,000 in cash and in kind donations; triple our goal of $15,000. We have already made a sizable donation to the American Foundation for Suicide Prevention and are helping local middle and high schools with their mental health programs. We can definitely use more support. You can still donate to the AFSP, buy merchandise from our store or contact us to arrange a direct donation. For two years Ann Brennan and Ethan Brennan walked for 24 hours to raise funds for the American Foundation for Suicide Prevention. While these walks raised thousands of dollars for the cause, the two felt like something was missing. The reason the family had become involved in suicide prevention in the first place was to bring awareness to an issue that has plagued their community for years. 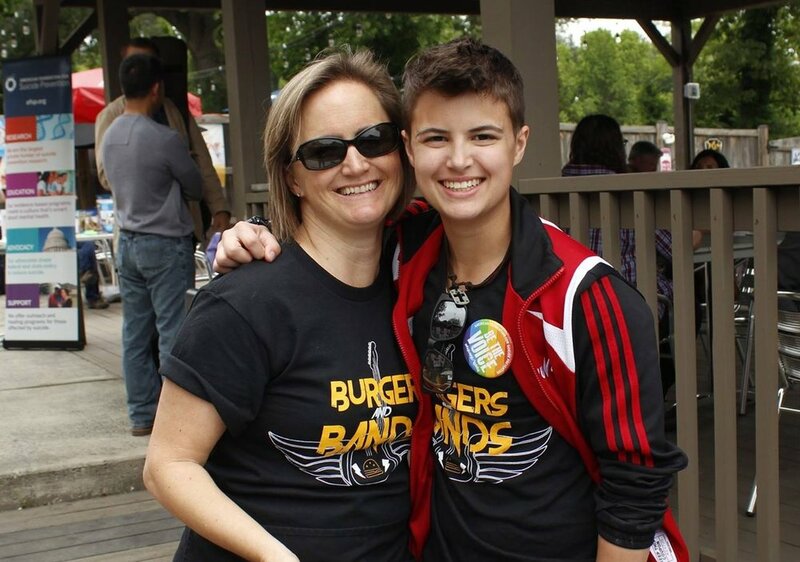 In 2016, the Brennan family teamed up with their friends and neighbors Jennifer and Kevin Bonk to bring the fundraising into our own community by creating an event like no other, Burgers and Bands for Suicide Prevention. Burgers and Bands is an event built in and around our community to not only bring awareness and raise funds for the American Foundation for Suicide Prevention, but also to show people in our community that they are not alone. Throughout the 8 hour musical event, we have bands rotating on a 30-45 minute schedule; community services tables; and of course great food and community. Burgers and Bands for Suicide Prevention was created as a way to bring our community together around a cause that has affected far too many people, both young and old in Severna Park. We are starting to plan next year’s event and the date has already been set. Sunday May 19th, 2019. We would love to have you volunteer at our event. Please fill out the below form and we will reach out to you. Thank you for your interest in supporting our fundraiser. We will get back to you with further information soon. Our goal continues to be raising funds for mental health programs in schools, for service members and to support the American Foundation for Suicide Prevention. We would love to have you sponsor our event. Please fill out the below form and we will reach out to you. Are you a school or organization that would like some financial help implementing a mental health program? We would love to help you. Tell us about your mental health initiative?